Animated STAR TREK - "The Pirates of Orion"
Spock contracts a disease that is fatal to Vulcans, and Orion pirates make it difficult for the Enterprise to rendezvous with the S.S. Huron, a freighter that is carrying the only known antidote. PSA epilogue for "The Pirates of Orion"
Rarely, if ever, in a Saturday morning cartoon show are people or even animals seriously harmed or killed. However, in the episode, "The Slaver Weapon", all of the Kzinti are killed in an explosion. Almost as taboo a subject for Saturday morning cartoons is suicide. In this episode, on the bridge of the Enterprise, the Orion commander actually attempts suicide by trying to swallow a suicide pill (pictured right), but he is prevented from doing so by the starship's security men. Once again, the animated STAR TREK was not just another kids' show. This story featured Orion pirates and thus was a sequel of sorts to the original series episode "Journey to Babel" in which Orion pirates made their first appearance. In this episode, Kirk also makes mention of Babel Resolution A-12, which was likely enacted in 2267 at the Babel Conference which featured prominently in that original series episode. 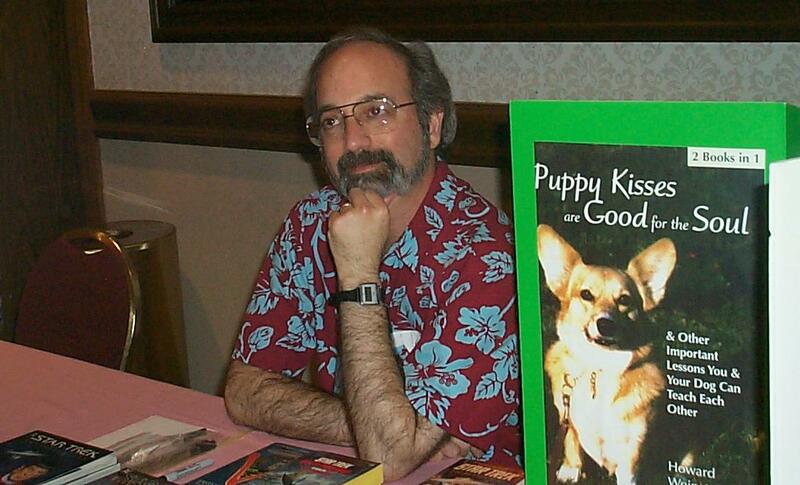 This episode's writer, Howard Weinstein, scripted some STAR TREK comic stories in the 1990's that are regarded as some of the best STAR TREK stories produced by DC comics. These stories included "Tests of Courage" (1994) - a Captain Sulu story and "Revisitations" (1995) which featured the return of Harry Mudd and Gary Seven. The starship U.S.S. Potempkin was mentioned in this episode. The U.S.S. Potempkin was a sister ship to the Enterprise and was first seen in the original series episode "The Ultimate Computer." Orions played an important part in this episode. Orions were first seen in the unaired first pilot for the original STAR TREK series "The Cage" in which Vina (pictured), portrayed by Susan Oliver, appeared in the form of an exotic Orion animal woman slave dancer. Orions were also seen in "Journey to Babel" (TOS), "Whom Gods Destroy" (TOS), "The Menagerie, Parts I and II" (TOS) and in the animated tale "The Time Trap." This episode featured a clever twist on many original series STAR TREK episodes. This time, Spock's being a Vulcan is a disadvantage. It was usually the case that whatever disease-of-the-week affected the Enterprise crew - Mr. Spock with his green Vulcan blood - was sure to be immune. This time, choriocytosis swept the crew. The disease was only a nuisance to humans, but it is fatal to Vulcans with their copper-based green blood (pictured). 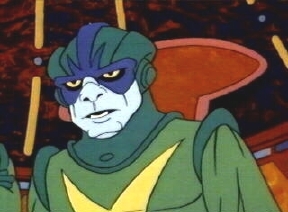 This episode was the first episode of the animated STAR TREK's second season. George Takei did the voices of no less than three characters in this episode. The S.S. Huron in this episode was the first appearance of a Federation starship that was of a different class than the U.S.S. Enterprise. While original series episodes often mentioned other starships, such as the Valiant, Archon, Dierdre or Carolina, none was ever seen except for Constitution-class sister ships of the Enterprise such as the Excalibur, Potempkin, Constellation, Exeter, Defiant and Lexington. It would be another eight years before another new starship class would be seen in the form of the U.S.S. Reliant in STAR TREK II: the Wrath of Kahn in 1982. There is a page in this site devoted to the S.S. Huron that featured prominently in this episode. The Uniforms & Insignia page within this site has a section devoted to starship insignia patches including the S.S. Huron's insignia. The director credit associated with this episode was Hal Sutherland on the episodes as originally aired on television in the 1970's, 1980's and 1990's and as released on video tape and laserdisc. However, the DVD release of the animated series in 2006 changed the opening credits to indicate that Bill Reed was the director of this episode. In fact the credits of "Bem", "The Practical Joker" and "Albatross" were similarly modified to list Bill Reed as director. Up until November 2006, it was generally believed that Bill Reed only directed the final two episodes, but in fact he directed the final six. 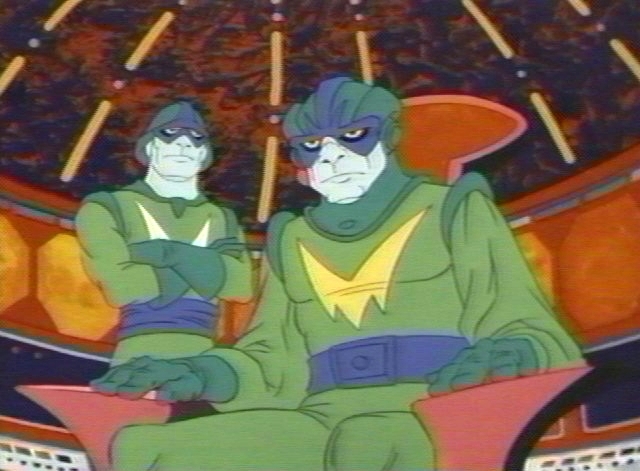 This episode featured the first appearance of an Orion starship design, and the first appearance of Orion males. 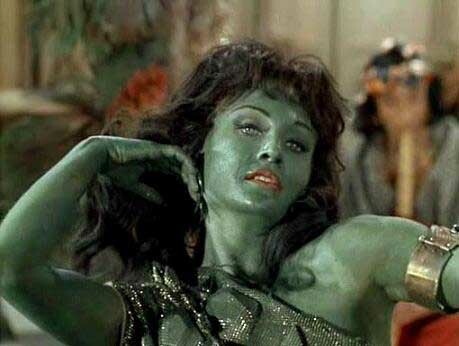 Orion females first appeared, in the form of Orion slave girls, in "The Cage" the first pilot episode for STAR TREK. 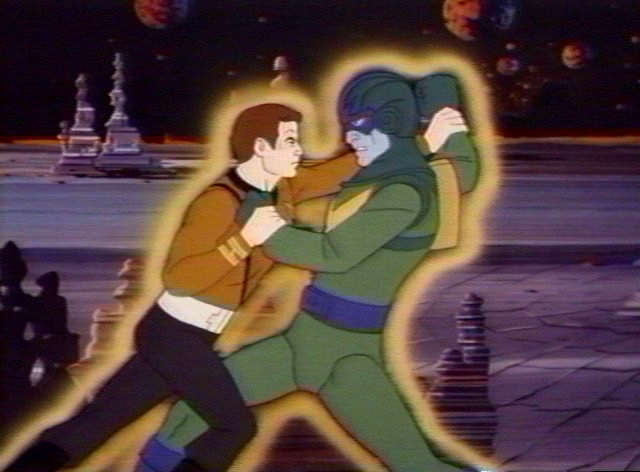 The life support belts invented for the animated series make another appearance as Kirk dons one to meet with the Orion Commander on the surface of an airless asteroid. There was a slight visual error in that the hull markings on the starship read "U.S.S. Huron", but in dialogue the ship is called the "S.S. Huron." Interestingly, in this episode, Kirk and crew mispronounced the word "Orion" as "ore-EE-on", whereas in the original series episode "Journey to Babel" they correctly pronounced it as "oh-RYE-un." Obviously the animated scripts needed a pronunciation page as are typically used on all of today's STAR TREK scripts. Orion government-supported pirates used a unique starship design in their quest for dilithium and other precious materials. The vessel was fast and maneuverable, but was equipped with weak phasers. There is a page in this site that focuses on the Orion Pirate Vessel seen in this episode. "The Pirates of Orion" was novelized by Alan Dean Foster in Star Trek Log Five published by Ballantine Books in August 1975. Also novelized in the book was "The Ambergris Element" and "The Jihad".